Law, by its very nature, tends to think locally, not globally. This book has a broader scope in terms of the range of nations and offers a succinct journey through law schools on different continents and subject matters. It covers education, research, impact and societal outreach, and governance. It illustrates that law schools throughout the world have much in common in terms of values, duties, challenges, ambitions and hopes. It provides insights into these aspirations, whilst presenting a thought-provoking discussion for a more global agenda on the future of law schools. Written from the perspective of a former dean, the book offers a unique understanding of the challenges facing legal education and research. 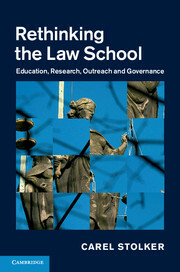 "Stolker does much to explain some of the particularities (or should I say peculiarities) of law schools, and poses many questions we all need to ask about the ways such institutions currently work … Rethinking the Law School, as its title promises, does much to get the reader thinking about law schools' purpose and mission." "This book, written by a former law school dean … ought to be obligatory reading for every new law school manager around the globe because it deals with all the major challenges facing law schools today." THOUGHT PROVOKING AND CONTROVERSIAL COMMENTARY ON LEGAL EDUCATION WORLDWIDE An appreciation by Phillip Taylor MBE and Elizabeth Taylor of Richmond Green Chambers This book will certainly attract the attention of the academic and professional education community worldwide especially those involved in designing and developing professional and academic law courses. Published by the Cambridge University Press, this is one of a number of books on the market which, generally speaking, are either descriptive of the way law is currently taught at, say, certain universities, or which seek to set out, or suggest new agendas for course content. The globalisation of business, cultural activity and commercial practice -- including legal services -- has provided the impetus and often the inspiration for accelerating change in the methods by which law is taught. In particular, it can be observed in many areas that the orientation of certain law courses has swung toward an international perspective, which a lot of law schools might regard as a radical development. ‘Law schools,’ says the author Carel Stolker, ‘tend to think locally, not globally’. Summarising the content of the book he refers to its ‘broader scope, both in terms of the range of nations and (the) succinct journey (which it offers) through law schools on different continents and subject matters.’ Formerly Dean of the Leiden Law School, Professor Stolker has also been a Rector Magnificus and President of Leiden University since early in 2013. Stolker’s book takes readers, whether lawyers or not, on a rather fascinating journey, during which he discusses education in general and legal education in particular in a number of jurisdictions worldwide. It’s not generally known whether there is any other book currently available that does this, so from this point of view, as well as others, the book provides considerable food for thought. 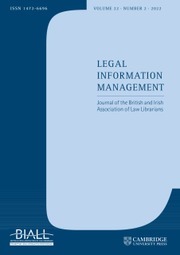 Following a brief commentary on ‘law schools in all shapes and sizes’, the author moves on to discuss the salient characteristics of legal education in the United States and the United Kingdom followed by illuminating and often startling observations on legal education in the European continent, Asia, Australia, Latin America and Africa. There is considerable comment and analysis throughout on methodology, research and governance. Rightly or wrongly, he appears a trifle dismissive of the ways and means by which lawyers are educated and trained in the UK and the US and generally, the ‘common law countries.’ For example, he seems a tad disdainful that ‘in England, one can still be called to the Bar with a degree in classics or history’ followed by a one-year conversion course and further training at the Inns of Court. ‘How fascinating,’ he intones. ‘Would we ever consider such a path in order to qualify as a medical doctor?’ Hmm! Likewise, he also refers somewhat disapprovingly to US legal scholarship where ‘it is the students,’ he says, ‘who run many of the scientific legal journals,’ including evaluating their content and the final editing. ‘Again,’ he adds, ‘this is fascinating: would we ever consider having students run the prestigious journals: ‘Nature’ or the ‘British Medical Journal?’ One wonders if this latter comment includes prestigious journals like the “Harvard Law Review”. (If so, wow! Those guys are gonna get mad!) We should remind ourselves here that the US, not to mention the UK and a number of other ‘common law countries’ are participative democracies where certainly, university students are encouraged to -- er --participate. And what better way to learn the disciplines of legal research than with a more rounded education? Well, he’s entitled to his point of view, especially bearing in mind that he has written an excellent book, although one might question whether this particular analogy is apt. The two above-mentioned journals deal, respectively, with the exact sciences and medical research, do they not? So while some lawyers out there might claim that the law is an art, there aren’t many who would have the gall to call it a science. 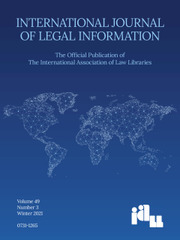 Nevertheless, this book with its international perspective takes a welcome and refreshing, if occasionally controversial look at legal education worldwide and therefore provides ample ammunition for lively debate and of course, reasoned argument for encouraging necessary changes in legal education in response to the changing needs of the twenty-first century. Anyone in legal education anywhere would do well to acquire a copy. The publication date is stated as at 2014. 9. Whose law school is it? 12. Towards a common agenda for law schools: some conclusions. Carel Stolker has been Rector Magnificus and President of Leiden University since February 2013. He was previously Dean of the Leiden Law School. For many years he taught a range of private law subjects. He obtained his PhD degree with a comparative study of medical malpractice law.